Lady Gaga's original fashion sense once again took center stage at the 2019 Grammy Awards … and we're loving it. While walking the red carpet ahead of music's biggest night on Sunday, Feb. 10, 2019, the Mother Monster looked as stunning as ever in a gorgeous, disco ball-inspired dress, Billboard reports. Inside the award show itself, which was held at the Staples Center in Los Angeles, the "Bad Romance" hitmaker was nominated in five categories. In addition to winning Best Song Written for Visual Media and Best Pop Duo/Group for her "Shallow" duet from A Star Is Born, Lady Gaga scored Best Pop Solo Performance for "Joanne" from her latest album of the same name. 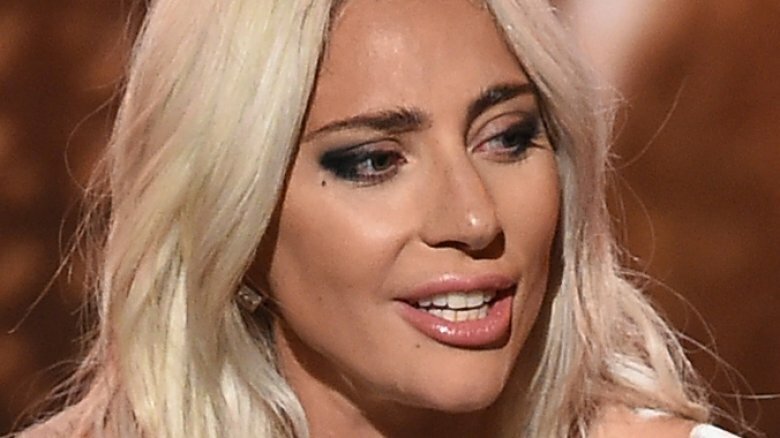 Lady Gaga was moved to tears while accepting the award for Best Pop Duo/Group Performance, and used the moment to highlight issues of mental health, according to E! News. "If I don't get another chance to say this, I just want to say I'm so proud to be part of a movie that addresses mental health issues, they're so important," the Oscar nominee said in part. "And a lot of artists deal with that. And we got to take care of each other. So, if you see somebody that is hurting, don't look away. And if you are hurting, even though it might be hard, try to find that bravery within yourself to dive deep and go tell somebody and take them up in your head with you." During her heartfelt speech, the singer-actress also thanked her A Star Is Born co-star, director, and fellow Grammy winner, Bradley Cooper. "Thank you, I wish Bradley was here with me right now," she said, adding, "Bradley, I loved singing this song with you." Notably missing from the Grammys ceremony was Cooper himself, who attended the 2019 BAFTA Awards in London in lieu of the event (via Deadline). 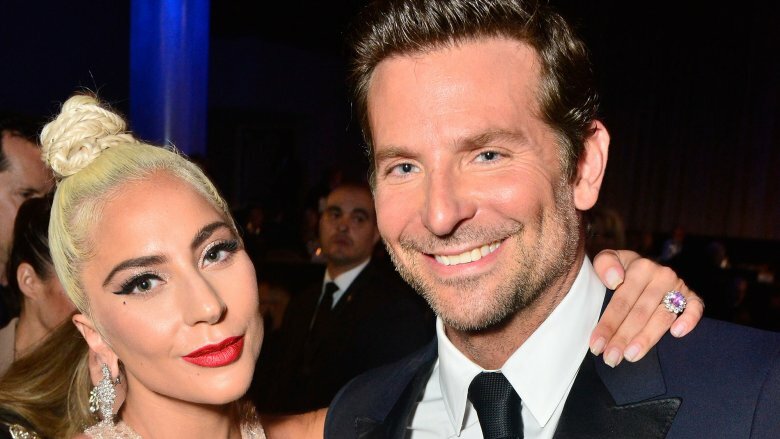 However, the duo, who are set to perform "Shallow" at the upcoming Academy Awards, also picked up the coveted Best Original Music prize across the pond this weekend. While accepting the award, the 44-year-old multi-talent said in part, "I got to fulfill a dream I never thought would happen. I share this with Lady Gaga tonight; the music was the heartbeat of this film" (via Us Weekly). In response to the exciting news, Lady Gaga tweeted, "I can't believe we just won Best Original Music @BAFTAs. I wish so much I was there but am at the Grammy's to show them our love as well." She added, "We made a film about music. This means the world to me. Thank u to all our fans we love u so much, we wouldn't be here without u #BAFTAs." Back in LA, Lady Gaga later took to the Grammys stage for the fifth year in a row to perform a rock rendition of "Shallow" alongside guitarist, frequent collaborator, and fellow nominee Mark Ronson. According to E! News, the performance was made complete with the pop star's platform boots, a sparkling catsuit, and powerful belted-out vocals. 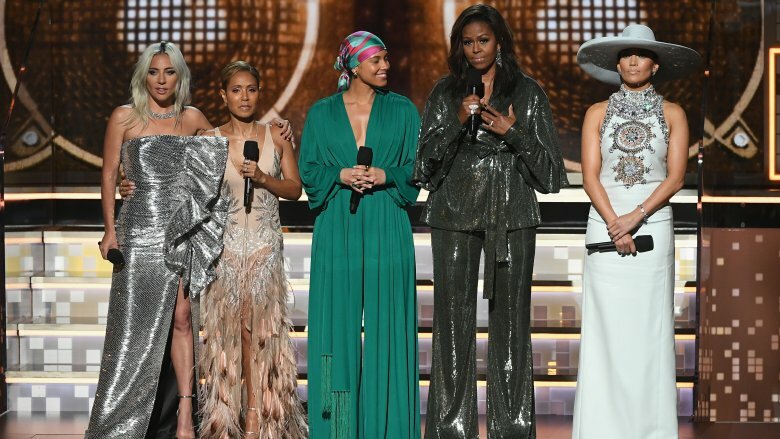 One of the most poignant moments of the Grammys, however, was one Lady Gaga shared alongside the evening's host, singer-songwriter Alicia Keys, as well as Jennifer Lopez, Jada Pinkett Smith, and former First Lady Michelle Obama. After joining one another onstage at the top of the show, all five women took a moment to express what music means to them personally, according to E! News. For her part, the "Born This Way" singer opened up about the start of her career, saying, "They said I was weird, that my look, my choices, my sound, that it wouldn't work." Lady Gaga added, "But music told me not to listen to them. Music took my ears, took my hands, my voice, and my soul and it led me to all of you and to my little monsters who I love so much."